Chrysler combines luxury, performance, entertainment, and affordability. The brand fuses the qualities of a family vehicle and SUV by providing ample cabin space and large trunk room. Hollenshade’s Auto Service offers Chrysler repair and maintenance services in Towson, MD. We are a dealer alternative that pays close attention to quality. We complete all repair work according to Chrysler specifications. Are you experiencing common brake problems, like shaking steering wheels or car wobbling when driving at high speeds? You might need to schedule a Chrysler brake repair service with us to find out the source of the issue. Brakes are critical to your safety. Our ASE-certified technicians conduct a complete brake evaluation to identify what your vehicle needs for better stopping power. If your vehicle is running badly or you notice your Check Engine light coming on, take your car to Hollenshade’s Auto Service for a comprehensive Chrysler engine repair and maintenance service. 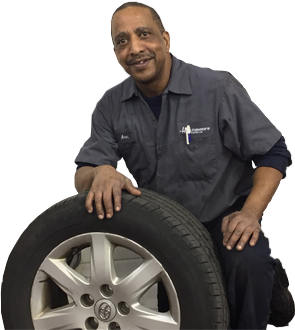 We have been servicing vehicles in Towson, Maryland since 1939. Our team uses the proper tools and follows manufacturer specifications to get you safely back on the road. Your car’s fuel system moves the fuel from its tank to the engine and converts it into energy to keep the engine working. Every component of the fuel system is crucial to its function — if any of the parts fail completely, you could end up getting stuck on the road. Our Chrysler fuel system services will help your car burn fuel efficiently for better fuel economy. Maintain your car’s health through regular oil changes. Oil is what lubricates, cleans, and cools the moving parts of your vehicle. We encourage drivers to change their oil according to manufacturer specifications. Our quick and professional Chrysler oil change services in Towson, Maryland will help your car’s engine running optimally again. Keep your Chrysler running like new. Hollenshade’s Auto Service has been serving the automotive needs of the car owners in Towson, MD for four generations. With us, your vehicle is in good hands. Call us today or click the Make an Appointment button above.